Leveraging cloud technology gives organizations the opportunity to reduce their IT and storage costs significantly. Cloud implementation is not just limited to savings but is a great tool for innovation, exploring opportunities and connecting with customers. Based on the Pay per Use model, you get an agile and scalable cloud environment. With advancements in technology, processes and customer expectations, there is more pressure than ever to work in a landscape that is equipped to handle any sort of changes. Enabled Business Solutions helps its clients to develop a cloud strategy that aligns with their business goals. Power of hybrid and public cloud networks provided by Microsoft, Rackspace, and Amazon. Scale as required with the flexibility to add or reduce space. Run all your applications, websites and processes on a cloud platform without buying additional hardware, software or hosting complexities. High automation reduces risk of error and business critical applications can run smoothly with zero disruption. Accurate analytics performed on accelerated timeframes. Enabled Business Solutions is an official partner with AWS Amazon web services. We provide complete public cloud implementation from hosting your websites to setting up data center. Our clients get the advantage of enterprise level IaaS (Infrastructure as a Service) with Amazon pay-as-per-usage model. Amazon cloud platform provides its users the ability to develop applications, manage infrastructure and perform high level analytics to get better data insight. Our cloud consultants help you draft a cloud roadmap to get better insights and drive enhanced customer experience. 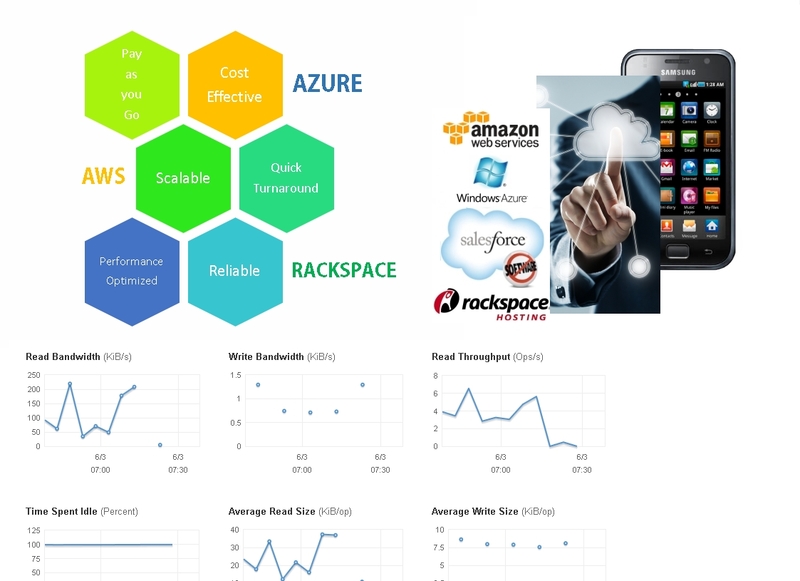 We also show you a clear picture of various cloud platforms so that you can make a decision based upon the best suitable option for you. With Microsoft comes the familiarity and ease of integration with third party applications. Enabled Business Solutions is an official partner with Microsoft Azure Cloud services. Our trained and experienced cloud consultants help our clients build cloud strategies that boost productivity while reducing infrastructure and IT costs. The biggest advantage of Microsoft Azure PaaS (Platform as a Service) is its hybrid cloud capability to interconnect the power of cloud with your own data center. You can now host your applications and website on open cloud while maintaining your database on your own in-house server. Contact us to know more about how you can digitize your operations and reap the benefits of hybrid cloud implementation. Rackspace cloud services provides managed cloud where you can pick individual services to meet your business goals such as web content management, e-commerce, e-mail, website hosting, data services, private cloud, etc. It is a high performing cloud platform providing openstack cloud features such as virtual networking, high scalability and unparalleled customer support. Enabled Business Solutions specialize in setting up Rackspace cloud platform for your organization so that you can focus on your core competencies while we and Rackspace handle the rest.